Marshall Colman’s beautiful pottery is made by proven craft methods. 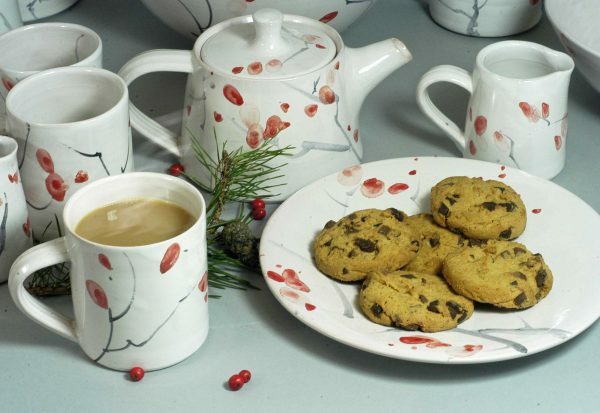 Designs are painted directly on to the powdery surface of the glaze before it is fired in the kiln to 1060 °C. Every piece is unique. It is hard-wearing and dishwasher proof.